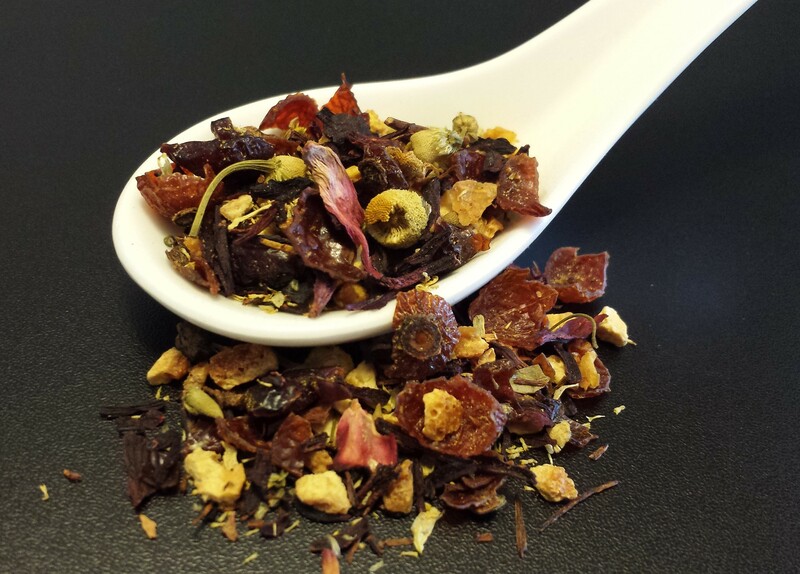 An organic blend of tart cranberries, orange peel, rose hips, and chamomile flowers. This tisane is naturally both sweet and tart. A favorite both hot and iced. Caffeine free.